Check out the latest photos of Bollywood actors Alia Bhatt, Madhuri Dixit and Kriti Sanon among others. While Alia Bhatt was clicked at her mentor Karan Johar's house, Kriti Sanon, Madhuri Dixit and Bhumi Pednekar among others were seen in Mumbai city. Alia Bhatt was spotted at Karan Johar's residence in Mumbai. Our shutterbug caught Kriti Sanon at Kromakay in Juhu. 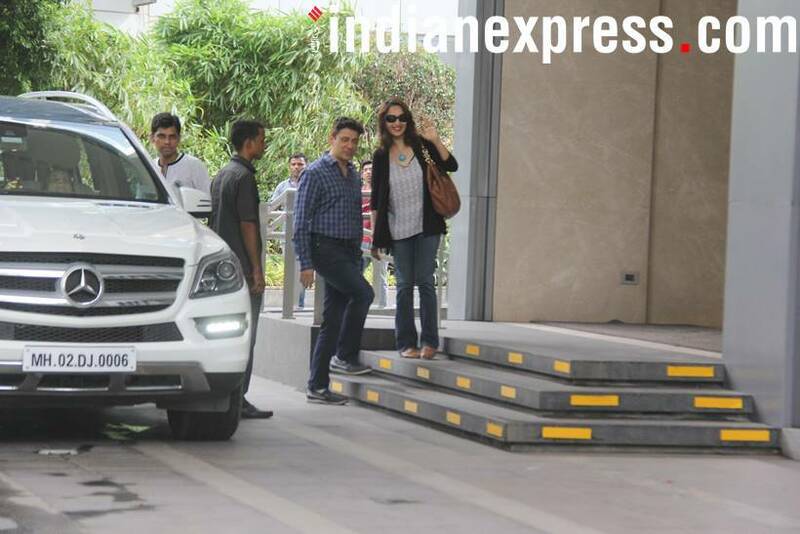 Madhuri Dixit Nene, who is prepping up for her Bollywood comeback Total Dhamaal, was clicked with her family in the city. Bhumi Pednekar was snapped with her friends in Bandra. Nimrat Kaur was also seen in the city.